How Was the Lighthouse of Alexandria Destroyed? Of all the Seven Wonders of the Ancient World, only the Great Pyramids of Giza in Egypt still remain. War, neglect, and natural disasters have wiped them from the face of the earth with only descriptions left by ancient historians and geographers, or perhaps an occasional coin or painting, as tokens of their greatness. Since the Seven Wonders were first formulated by Greeks, most of the Wonders were located in and around Greece, but two of them were found in Egypt. Of course, as mentioned, the Great Pyramids of Giza are located in Egypt, but along with the Pyramids was the much younger but no less impressive Lighthouse of Alexandria, often called the “Pharos Lighthouse” for the island in the Mediterranean that it occupied. Among all the Seven Wonders, the Lighthouse of Alexandria was one of the most practical because it helped facilitate trade in and out of Egypt. In terms of age, the Lighthouse of Alexandria existed in its original form, more or less, for about 1,000 years, which made it among the longest lived of the Seven Wonders. Because the Lighthouse no longer exists and has not for almost 1,000 years, great mystery surrounds its size and structure, but even greater is the perceived mystery of its destruction. Perhaps because it is often confused and/or included with the famed Library of Alexandria, rumors and falsehoods have persisted about the Lighthouse’s demise. An examination of the sources reveals that the Lighthouse of Alexandria fell victim to a number factors that led to its destruction including earthquakes and salt water erosion. Along with the damage the Lighthouse suffered from the elements, its prestige, and the prestige of the city of Alexandria itself, was greatly diminished when the Arab Muslims conquered Egypt in AD 642. To the Muslims, Alexandria was just not as important as it was to the Greeks and Romans and so they allowed the already decaying Lighthouse to fall further into disuse until they finally changed its function. 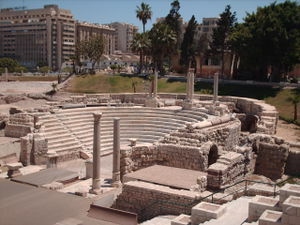 Although located in Egypt, the city of Alexandria was founded by the Macedonian conqueror Alexander the Great when the wrested Egypt away from the Persians in 331 BC. Alexander liked the location of the area because of its natural harbor and so decided to build a city there as a monument to his greatness and to promote the Greek concept of Hellenism. 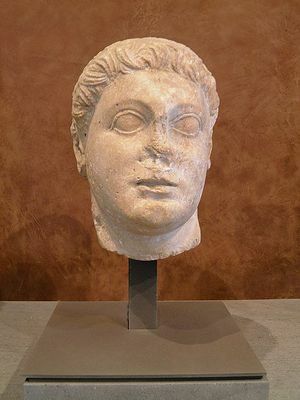 Construction of the city began under the first of the Greek-Macedonian rulers of Egypt, Ptolemy I (ruled 305-282 BC), who commissioned the architect Dinocrates of Rhodes to design the city on a grid-pattern, which was quite revolutionary at the time. The centerpiece of this bold new city would be the landmark known as the Pharos Lighthouse or Lighthouse of Alexandria. Besides their references to the Lighthouse’s possible architect, the ancient writers are the best source for the modern understanding of the Lighthouse’s size, structure, and uses. 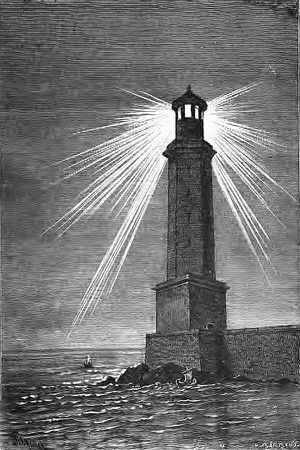 Julius Caesar mentioned the Lighthouse in his military memoirs about the Civil Wars in the first century BC. By his own admission, Caesar’s troops caused damage to buildings on the Pharos Island near the Lighthouse during the Alexandria campaign in 48 BC and according to the first century BC Greek geographer, Strabo, the damage was significant. Although Caesar’s troops caused a certain amount of destruction on the Pharos Island and also apparently to the Lighthouse itself, it took little time for the Romans to rebuild Egypt’s second entry into the Seven Wonders of the World. 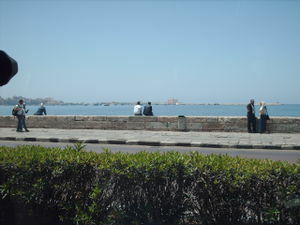 Alexandria continued to be an important city once its control passed from the Ptolemies to the Romans. The Romans apparently quickly repaired the damage to the Lighthouse because when the first century AD Jewish historian Josephus wrote about it, no damage was mentioned. Based on the ancient descriptions, modern scholars believe that the Lighthouse stood between 400 and 660 feet tall and was divided into three levels. The base was a square, the middle an octagon, and the top level was circular, with a statue of Zeus proudly perched at the summit. The Lighthouse of Alexandria must have truly been a remarkable sight, which makes the story of its destruction almost as important as its life. As discussed above, the Lighthouse of Alexandria incurred its first recorded man-made damage at the hands of Julius Caesar. There were few accounts written about the Lighthouse after Josephus. The medieval Islamic historian, Ibn Battuta, visited Alexandria twice during his epic journeys of the Islamic world – 1326 and 1349 – and found the Lighthouse severely damaged on his first trip and all but destroyed on the second trip. Battua never gave an opinion on what caused the destruction. Thanks to advances in science, modern scholars have been able to determine that much of the damage the Lighthouse suffered in the post-Roman/Islamic Period was due to nature. A number of devastating earthquakes that rocked Egypt during the medieval period probably caused most of the damage to the Lighthouse. One particularly strong earthquake, which was felt all over Egypt and as far away as Syria, destroyed the top level of the tower in 956. Along with repeated earthquakes, erosion caused by the salt of the Mediterranean Sea appears to have played no insignificant role in the Lighthouse’s demise. Repeated wind-borne salt erosion would have caused damage to the exterior of the Lighthouse, which was already in disrepair due to the repeated earthquakes. Although earthquakes and salt air erosion caused significant damage to the Lighthouse of Alexandria, the wonder still could have been rebuilt. The Lighthouse of Alexandria’s final demise came not through any single event, but was more the result of a cultural and demographic shift in the region. Alexandria was a city built by Greeks and then inherited by the Romans and later the Byzantine Empire. To these peoples, Alexandria was an important place in their empires and the Lighthouse was the physical focal point of the city, both literally and metaphorically. When the Arab Muslims conquered Egypt in AD 642, they viewed the city of Alexandria and the Lighthouse in very different manner. Although the Muslims were impressed with certain aspects of Hellenic Civilization, they were not part of it and monuments such as the Seven Wonders of the World list were of little consequence to them. Egypt played an important role in the new caliphate, but the newly built city of Cairo, not Alexandria, became the focal point of medieval Egypt. Although the Lighthouse of Alexandria no longer exists, like five of the other original Seven Wonders of the Ancient World, it continues to inspire the imaginations of countless people throughout the world. For about 1,000 years the Lighthouse stood as a symbol of the city of Alexandria’s greatness, as well as providing a beacon for safe passage through the treacherous Alexandria harbor. Unfortunately, the great monument fell victim to a number of factors that resulted in its destruction. Earthquakes and erosion were responsible for most of the physical destruction to the Lighthouse, but when the Arab Muslims conquered Egypt they did not look at the monument with the same reverence as previous Hellenic peoples who occupied Alexandria. The city itself fell in importance with Islamic caliphs, who chose to convert what was physically left of the Lighthouse first into a mosque and then a fort. 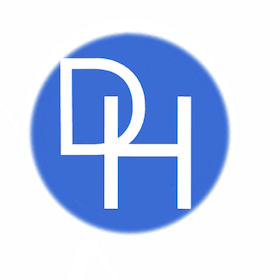 This page was last edited on 22 November 2018, at 14:14.